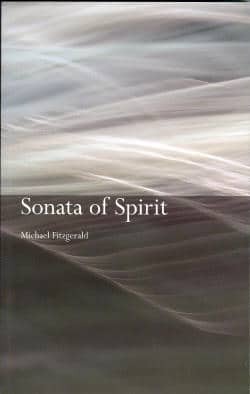 Sonata of Spirit is a major collection of poems by Michael Fitzgerald, award-winning American poet. 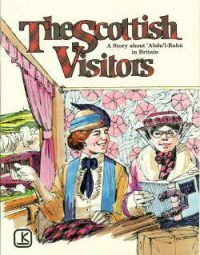 Fitzgerald’s work illuminates everyday experience as only poetry can, linking his spiritual orientation as a Bahá’í with the pleasures and pains of daily life, with the profound beauty found in nature, and with the hopeful, sometimes humorous, sometimes exasperating and often tragic journey of a world struggling to become conscious of its oneness. This collection of over 200 new poems is divided into four sections: “Notes on the Planet, “Inner Landscapes”, “Latitudes of the Heart”, and “Toward New World Joy”, and includes the collection “An Arts Suite”. I love Michael Fitzgerald’s poems . . . They are lucid, original, powerful and deeply human.
. . . lyric grace, delicate humour, painful realism, and mystical intensity . . .
. . . something genuine to say in every poem. A poet who has clearly found his own special voice . . .
His poems have the capacity to endure and enrich us. Michael Fitzgerald is the author of numerous books of poetry, nonfiction and children’s literature, and the winner of several awards. He has given poetry readings and workshops in the United States, Canada and Europe. He has worked on projects for the Association of Bahá’í Studies, the Center for Science in the Public Interest, Defenders of Wildlife, the Folger Shakespeare Library, the National Federation of the Blind, the Smithsonian Institution, the US Public Interest Research Group, national public radio and others. He lives in the Shenandoah Valley of Virginia.